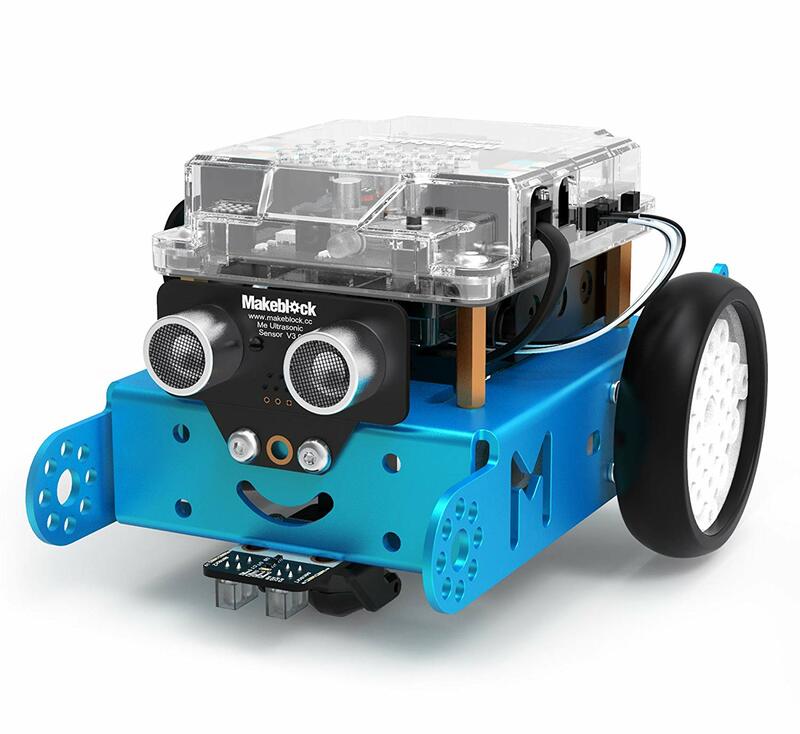 The mBot is an excellent tool for kids of all ages to boost their knowledge and interest in robotics, electronics, and programming. 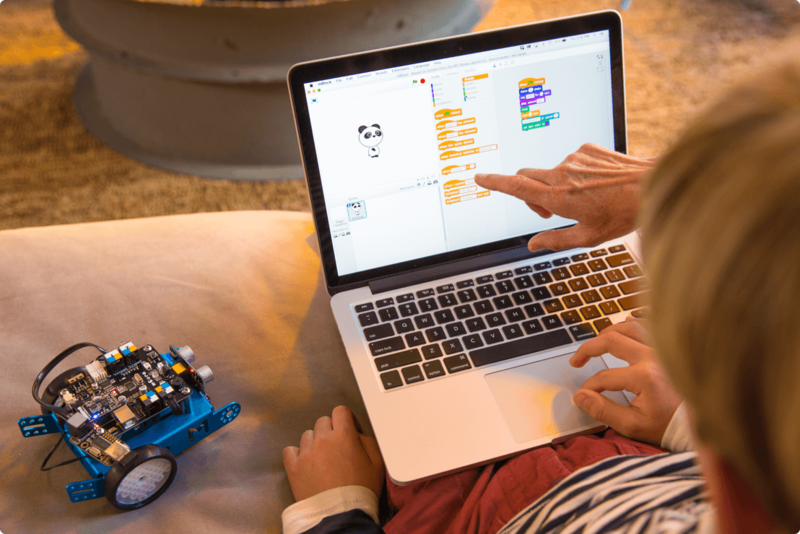 Inspired by Scratch 2.0, the mBlock seamlessly connects with Bluetooth or the 2.4GHz wireless module. 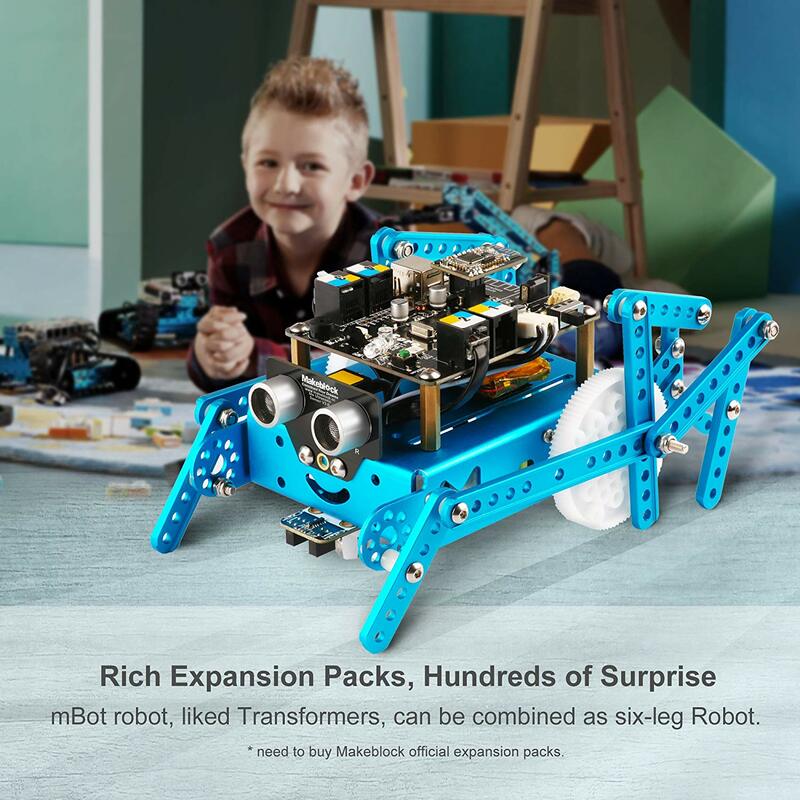 This all-in-one solution is easy to assemble and provides limitless possibilities for kids to learn STEM (Science, Technology, Engineering, Mathematics). 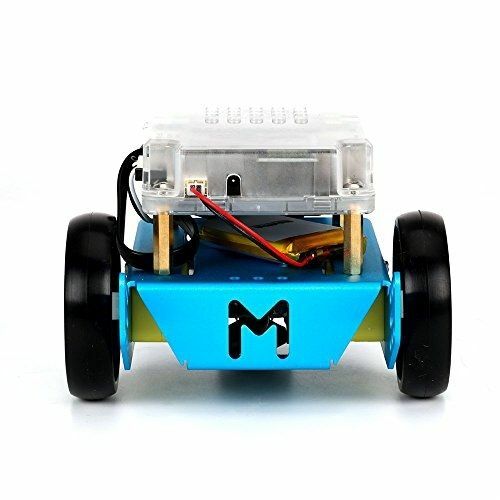 The mBot has only around 45 pieces so hobbyists can easily assemble the whole kit in 10 minutes, providing a sense of achievement and a healthy curiosity for robots and programming. All the necessary tools needed to build is included along with the parts that are neatly organized inside the box. There is a very simple to follow build guide that is so detailed; anyone who has built a Lego set will feel right at home with it. 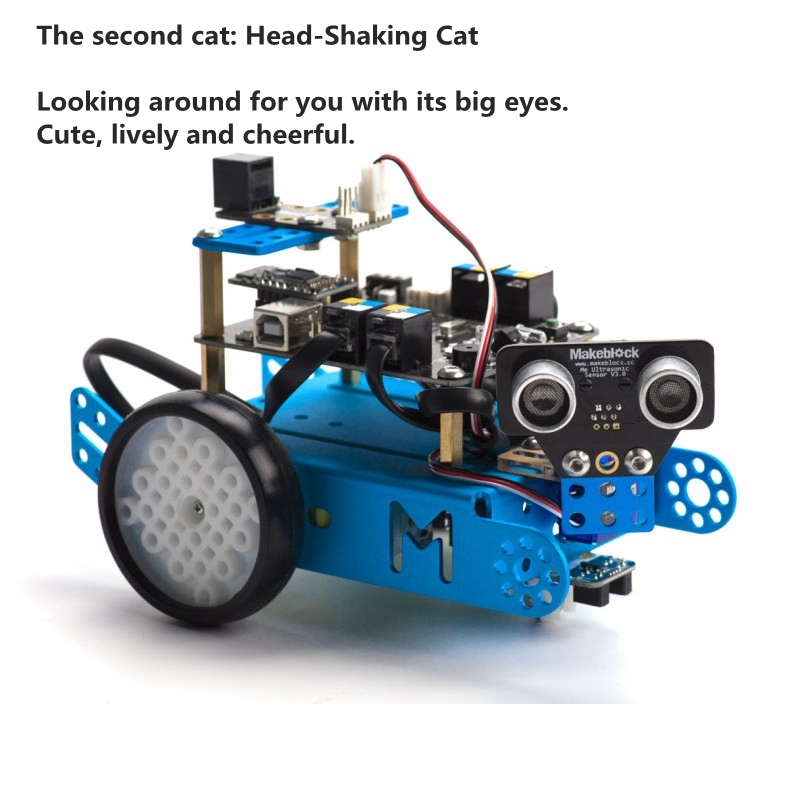 The components of the mBot are precisely precisioned to fit and of excellent quality, adding to the sturdy and satisfying nature of the finished built. Suitable for beginners, Arduino is an open-source electronic prototyping platform used globally and will ensure a quick start in the project. The board is easy to wire, thanks to the intuitional color labels and easy to assemble RJ25 connectors. This way, hobbyists can focus on creating interactive projects without complex instructions. 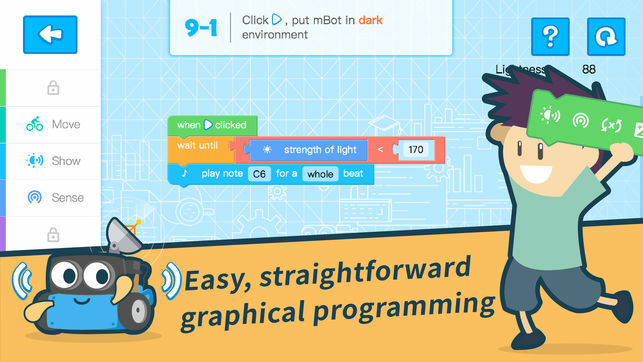 Based on Scratch 2.0, a very popular graphical programming software preferred by students and teachers, the new software mBlock was developed to use the Scratch-style coding to program and run Arduino and robots. 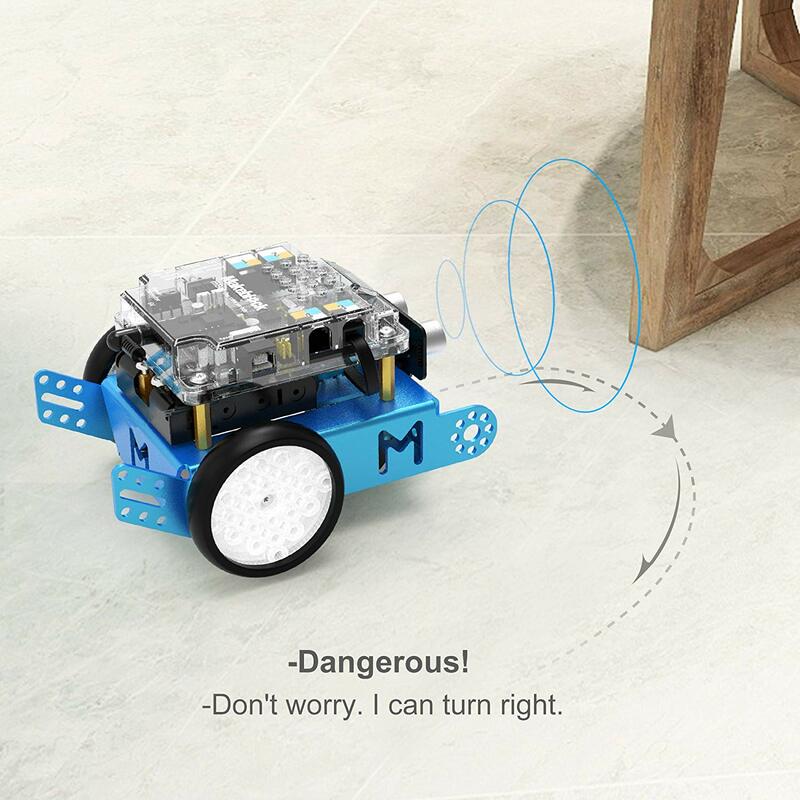 But wait, this is no ordinary 'remote control robot' for child's play. 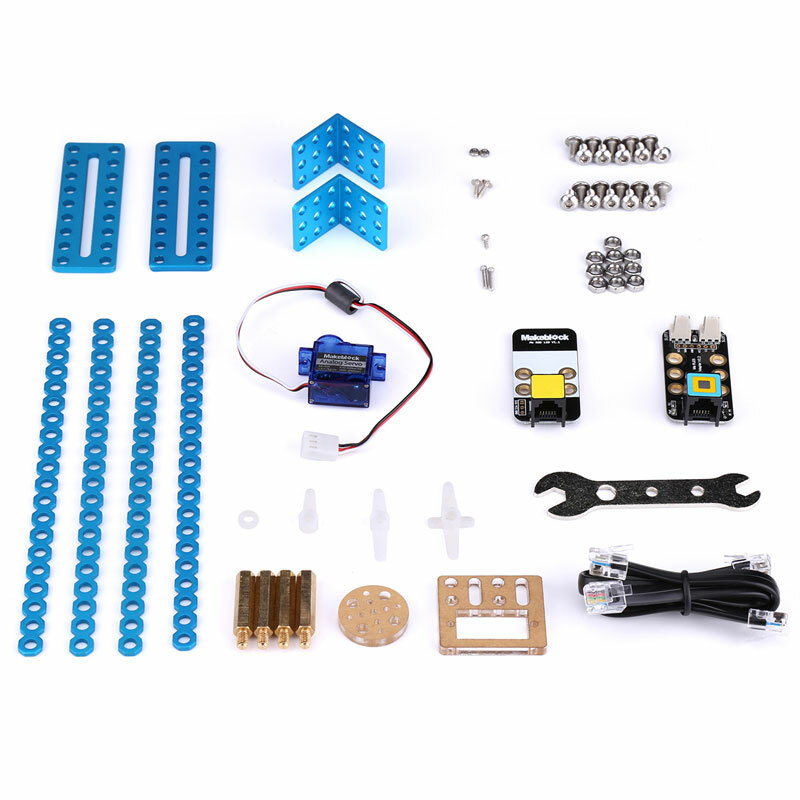 The kit contains all the parts that the hobbyist will need to manage the robot from the PC or from the mobile phone. 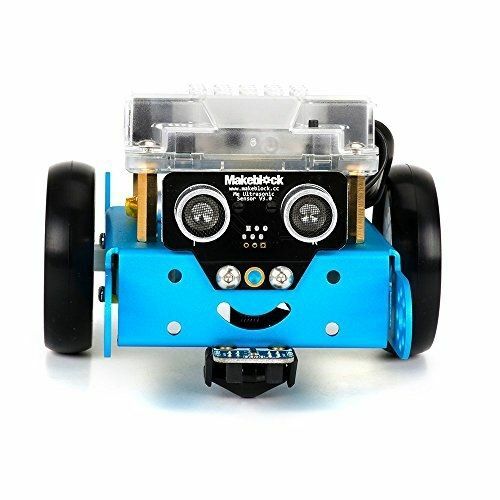 Communicate with the robot from a program you can design yourself to do a myriad of things - receiving sensor data (temperature, light, images) or even scheduling tasks. As long as your PC and smartphone has bluetooth connectivity - you're set to go! 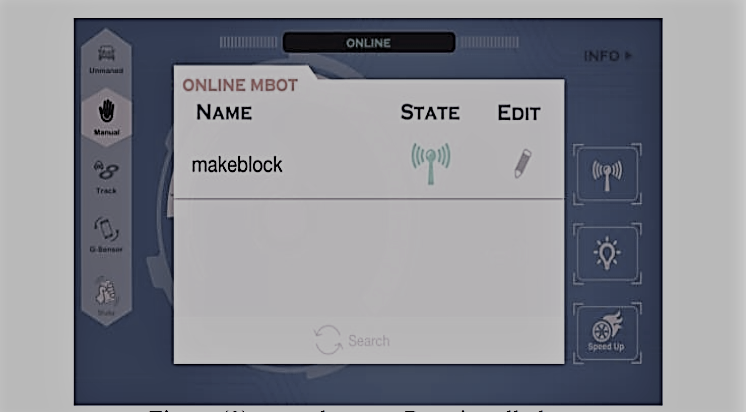 The mBot v1.1 is an updated version of the original mBot and was released last 27th May 2016. 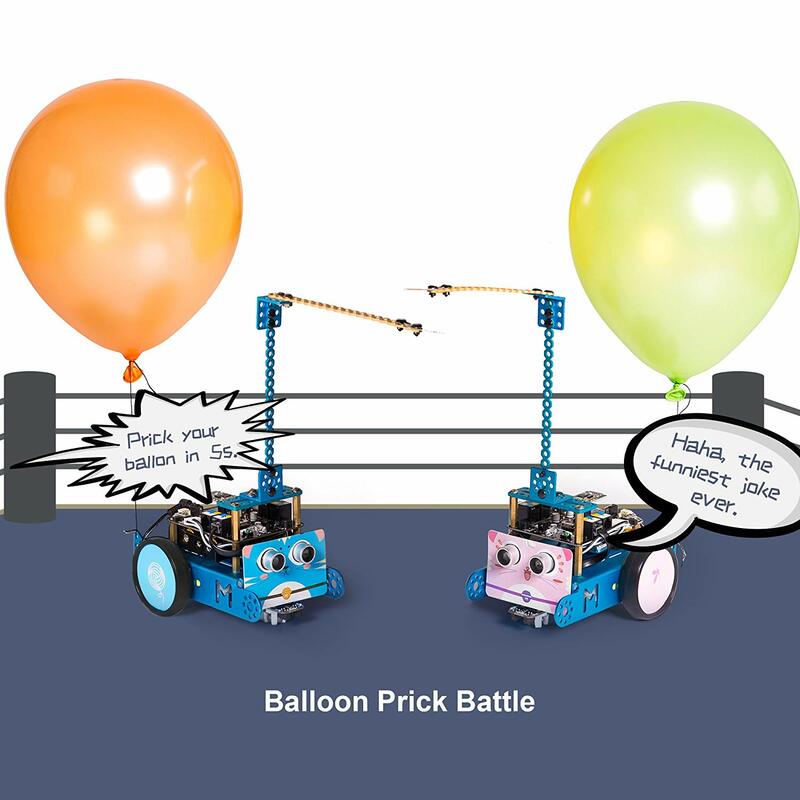 Provides an easy DIY learning tool for children ages 7-99! Boosts logical thinking. Hobbyists can decide on more add-ons to enhance their design and build more intricate-looking models. 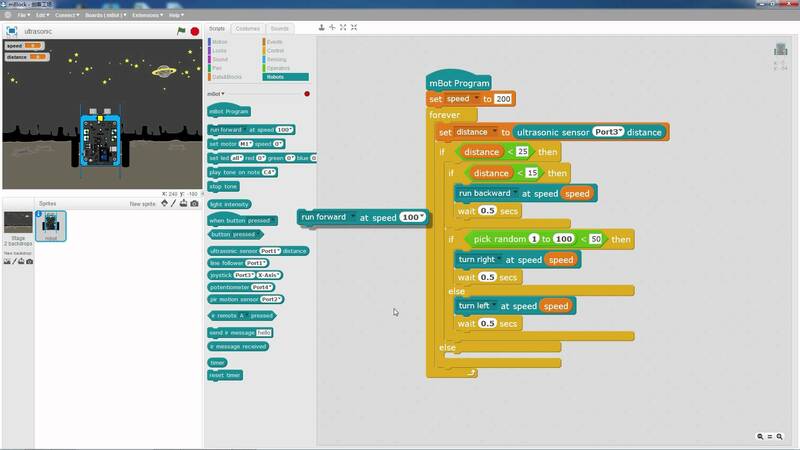 Create graphical programs using the Scratch programming language. 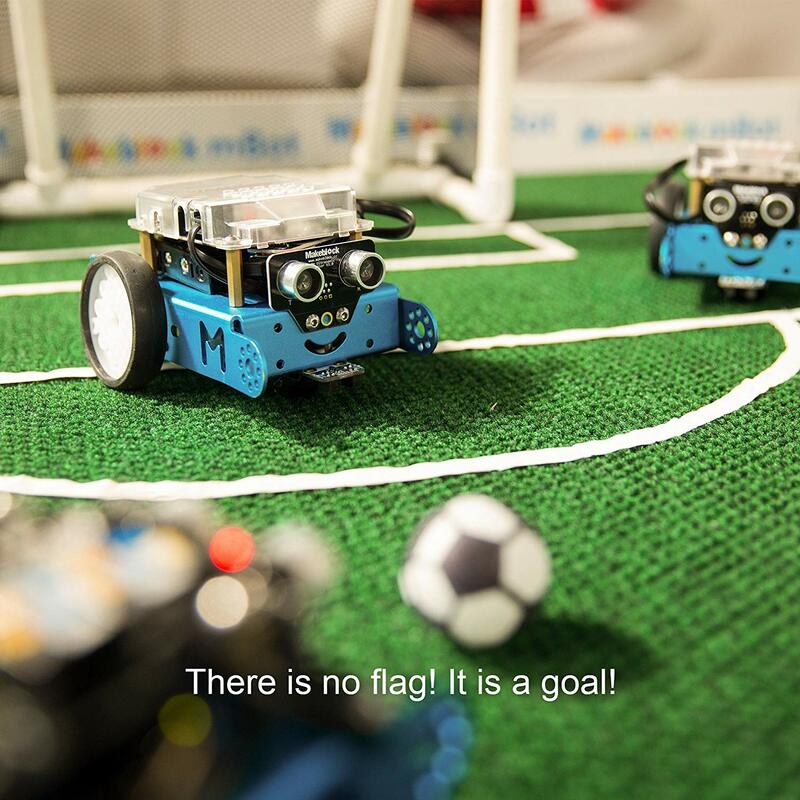 Simple drag and drop enables user to command the mBot even without coding experience. Can be integrated into the curriculum. 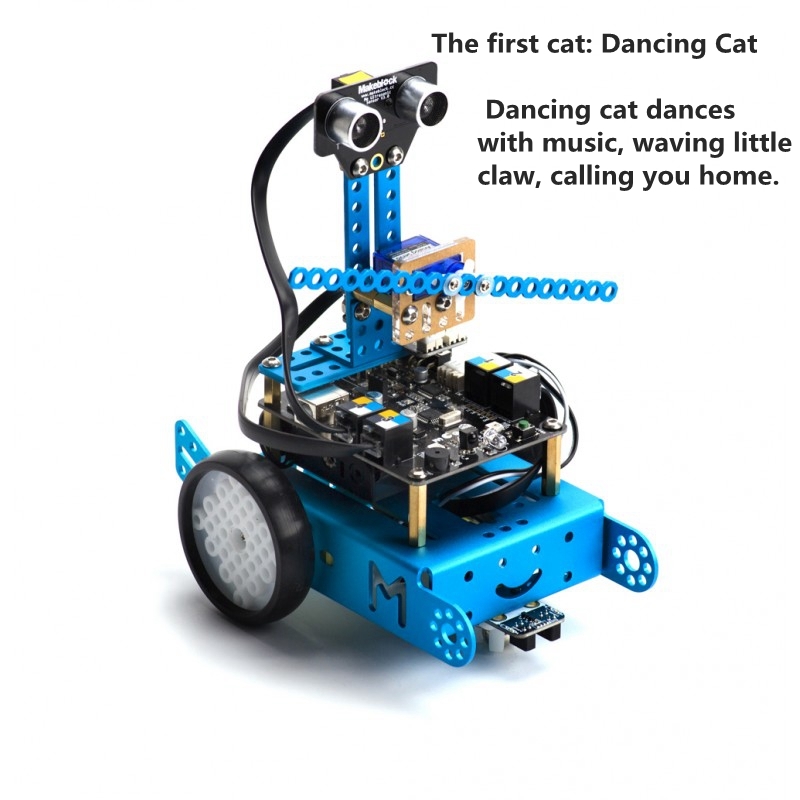 Scratch, Arduino C++ and Python can all be integrated in mBlock enabling learners to create programs that will control the robots and provide communication between computer and robots. 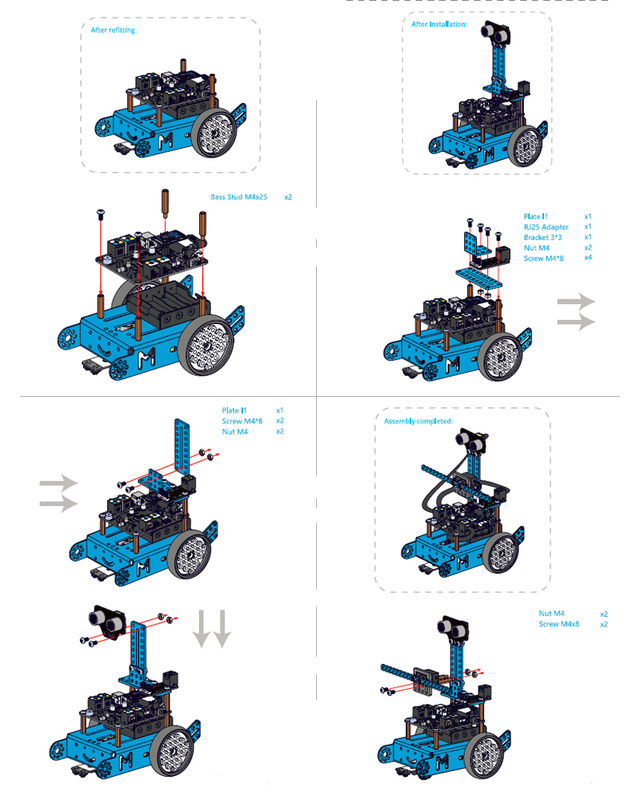 The mbot kit comes with a detailed instruction book that is easy to follow. 1. Make sure your smartphone is equipped with bluetooth. 2. Open the bluetooth settings in your device. 3. 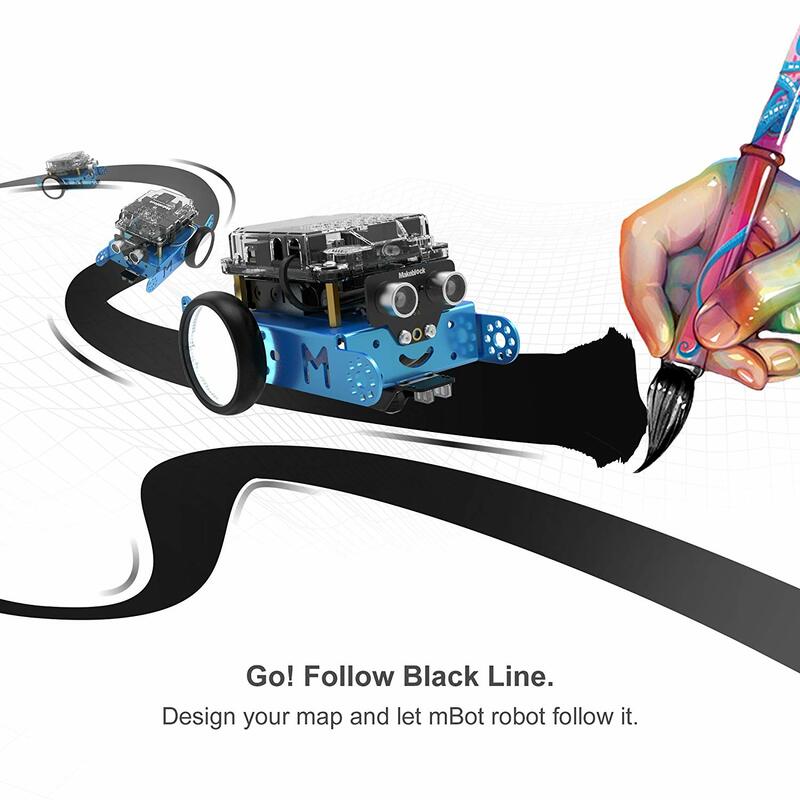 Find mBot and connect to it. 4. When the radar icon turns green, the mBot is now controllable via your smartphone. 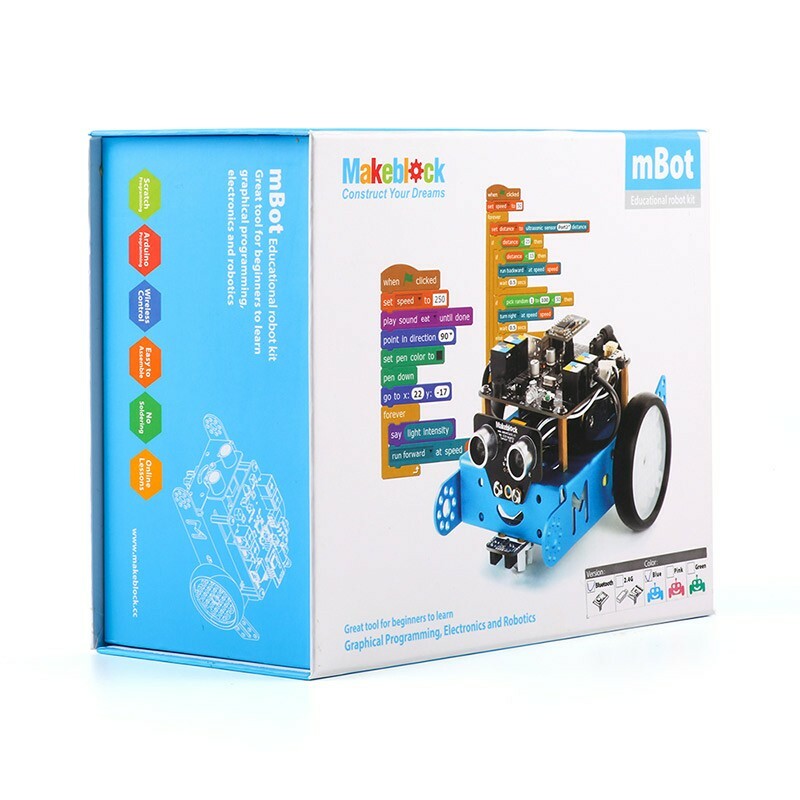 Q: Is mBot compatible with Apple and Windows PC? 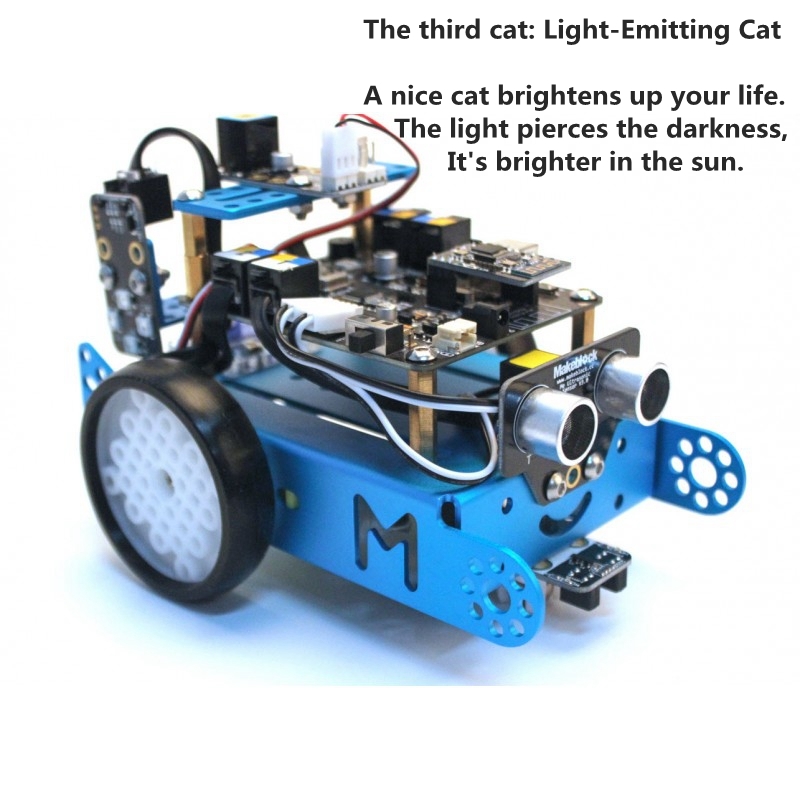 Q: Is the Arduino included in the pack or should it be purchased separately? 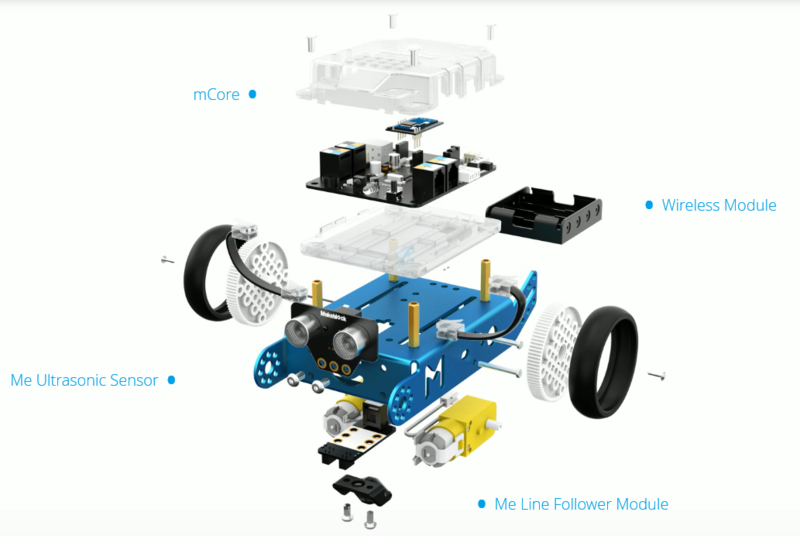 A: The pack comes with its own board which is based on Arduino. It does not use the standard board. Q: Does it come with power cords? A: No power cord is necessary. A CR2025 battery is used for the remote control. Q: Do you download a coding software?